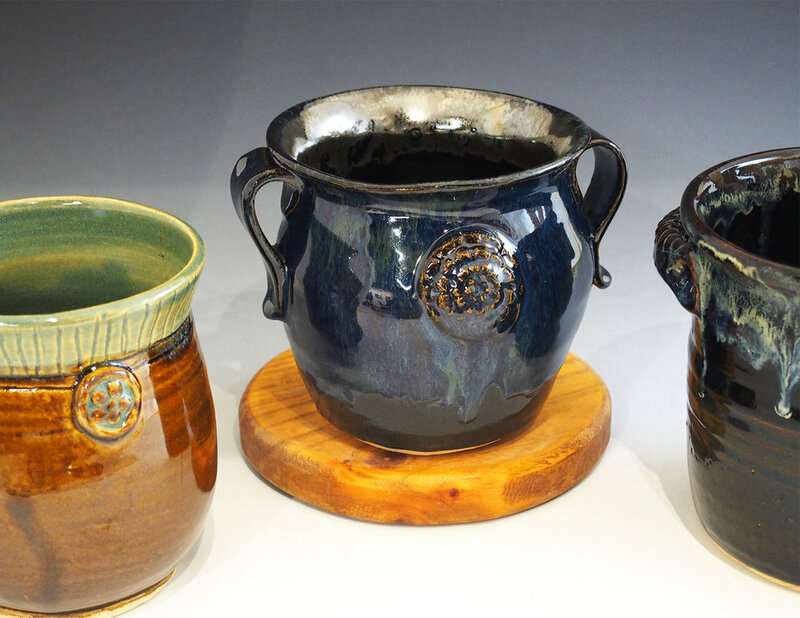 Nancy Bibby has worked as a studio potter since she and her husband, Chuck, moved to Concord, NC in 2000. 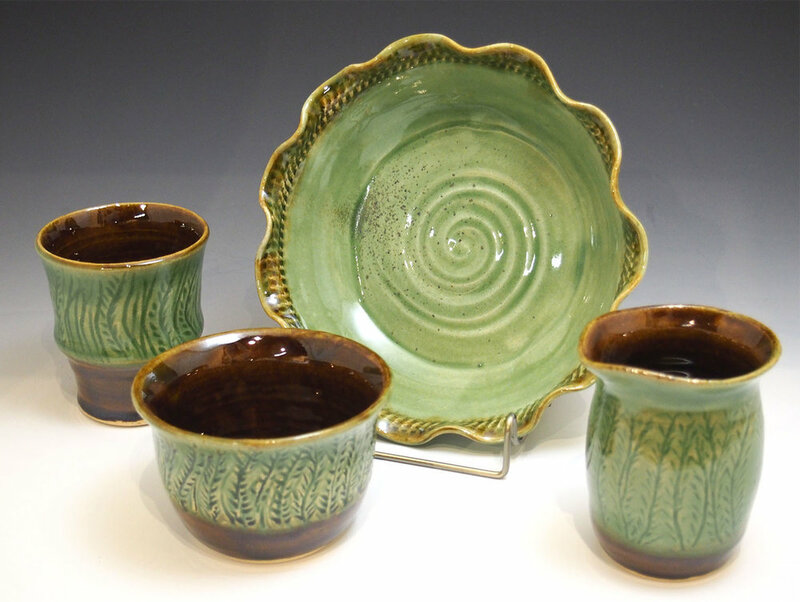 She works in stoneware clays, making her pieces at home and glazing and firing them in her studio at ClearWater Artist Studios. Texture is used to decorate her many functional and decorative pieces. 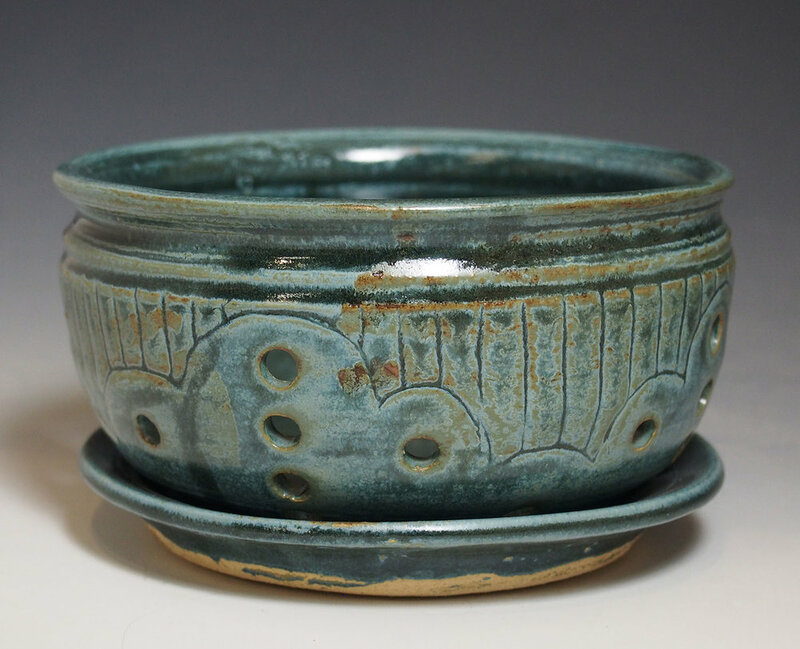 This texture allows the glazes she mixes to enhance and give depth to the pot's surface. A pot's functions and beautiful mixed colors give her much joy and satisfaction, working in clay. The glazes she uses are food safe in the oven, microwave and dishwasher with appropriate care. Nancy's work is sold at ClearWater, the Cabarrus Art Guild in Downtown Concord, the Concord Farmer's Market on Saturdays and by calling her, at 704-467-7932.